A common goal for many investors is to establish a long-term plan that provides for loved ones and heirs. With traditional estate planning, you might incorporate trusts, real estate or stocks, all of which can certainly be a great start. If you are looking for something with promising returns, a steady demand and the potential to bring in profits decades into the future as well as today, then precious timber is a smart move. Find out why timber can benefit your heirs as well as how to get started. The planet's population has recently surpassed seven million, and that number is only forecast to rise in the years ahead. Along with a rising population, developing nations are expanding their infrastructure, requiring more construction materials in places as diverse as India, China and Africa. The demand for timber is growing rapidly, since wood is required to build all kinds of structures. Airports, highways, bridges and apartment complexes all utilize natural resources like timber in order to be sturdy and still affordable. As long as people still need shelter and the Earth's population continues to boom, there will be no shortage of the demand for lumber. However, the supply will remain limited due to the nature of wood as a natural and typically slow-growing resource. Since timber has been used for thousands of years, it has a true history of value that is unlikely to end anytime soon. When planning for long-term investments, timber certainly has a place in any portfolio. Along with rising demand, as mentioned above, this can be because of an emphasis on renewable forestry. In order to protect the environment and preserve natural resources, renewable forestry is very popular throughout the timber industry. In essence, it requires a certain number of trees to be planted in exchange for a certain number that get felled. In addition, it limits how many trees can be harvested at any given time. This ensures that trees can reach full maturity before harvest. For an investor, it means steady returns year after year as well as a guarantee of timber harvest 10 or 20 years into the future. Relatively low-risk investments often bring with them steady but low returns. A mutual fund or a certificate of deposit might net you three to eight percent in returns, which only just stays ahead of inflation. Despite the security and stability of investing in precious timber, returns have averaged 15 percent since 1987. Those numbers are predicted to remain steady, guaranteeing income for your heirs in the future. Thanks to the impressive annual returns, limited supply thanks to renewable forestry and increased demands on a global scale, it is easy to see why adding timber to your investment portfolio is a savvy move. 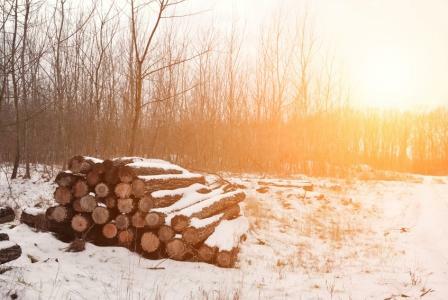 Along with being a stable investment, timber can be a wonderful way to add diversity to a portfolio that might be full of risky stocks or bonds. At Georgetown Trust, we will happily guide you through the process of investing in precious timber. There are plenty of reasons to make an investment. You might want to increase your own net wealth, or you might be focused on setting aside financial support for your heirs. Either way, investing in timber can be a smart investment that can benefit you as well as your heirs for years to come.